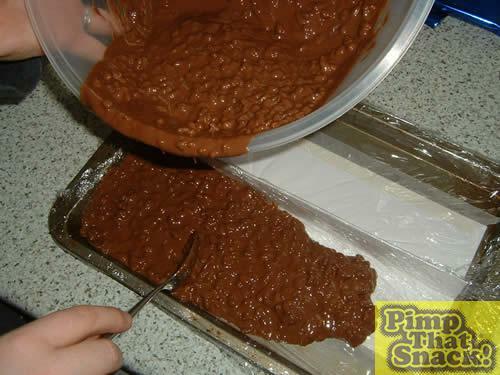 Step One: Go on guess… I'll give you a clue… it involves exposing 1 and a 1/2 chocolate bars to extreme heat! Then we chuck in 12tbsp of Rice Krispies (other puffed rice based cereals are available). The whole lot is mixed up and then put into a lined baking tray complete with a custom-built mould element (folded card to anyone else). The bar takes it's first of many trips to the freezer. Step Two: Nougat – where confectionary meets epoxy resin! Not wanting to open ourselves to accusations of corner cutting we decided to make it ourselves from scratch. 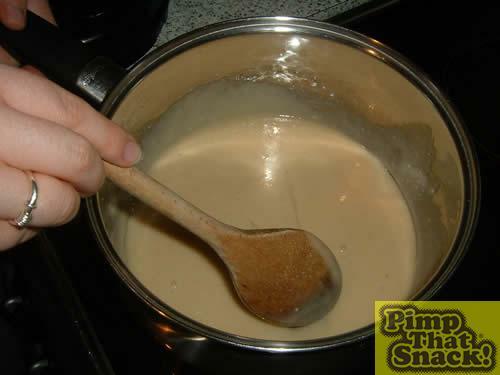 So we mix the honey, icing sugar and egg whites together – for 30 minutes stirring continuously over a low heat. 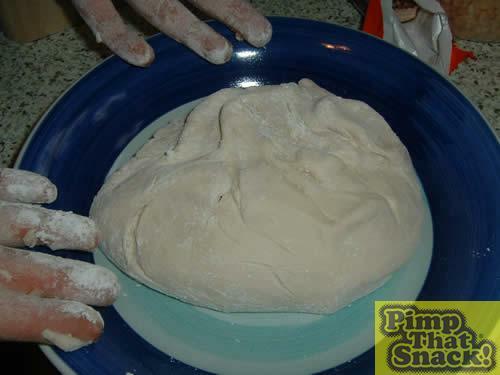 This requires great wrist strength [insert own gag here] and patience. Step Three: Goodness, gracious… great ball of nougat (btw is it pronounced 'nug-get' or 'noo-gah'?) 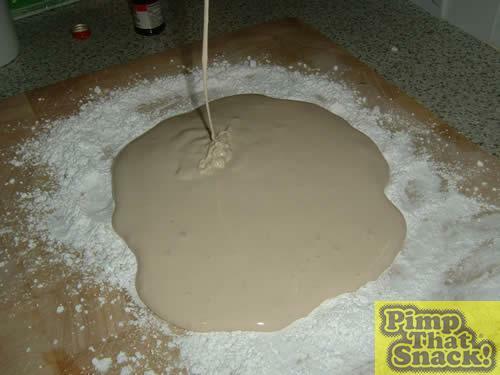 The molten noo-gah mix is poured out onto a board coated liberally in icing sugar and is kneaded (with extreme care due to high risk of third degree burns) until it cools and becomes more of a solid. The ball is then pushed into the other half of the chocolate mould and is put into the freezer.